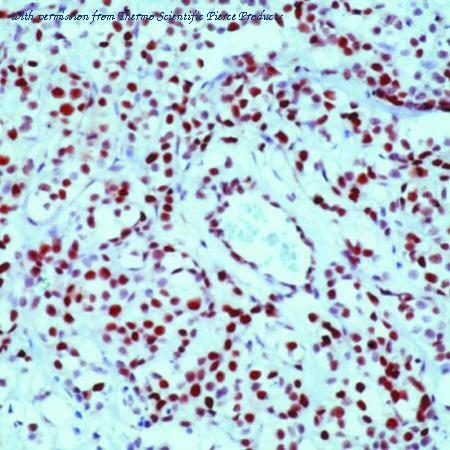 Formalin-fixed, paraffin-embedded human breast carcinoma stained with Retinoblastoma antibody using peroxidase-conjugate and AEC chromogen. Note nuclear staining of tumor cells. 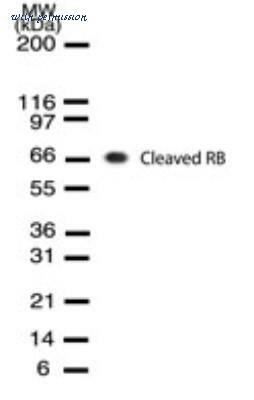 The RB1 antibody from Proteintech is a rabbit polyclonal antibody to a recombinant protein of human RB1. This antibody recognizes human, mouse antigen. 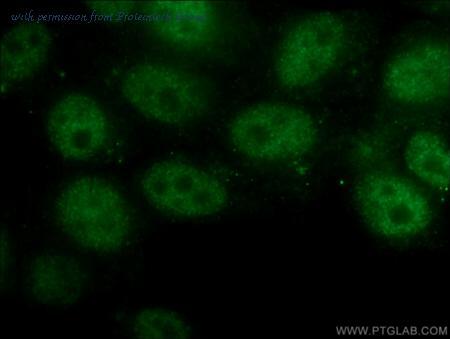 The RB1 antibody has been validated for the following applications: ELISA, WB, IHC, IP analysis. 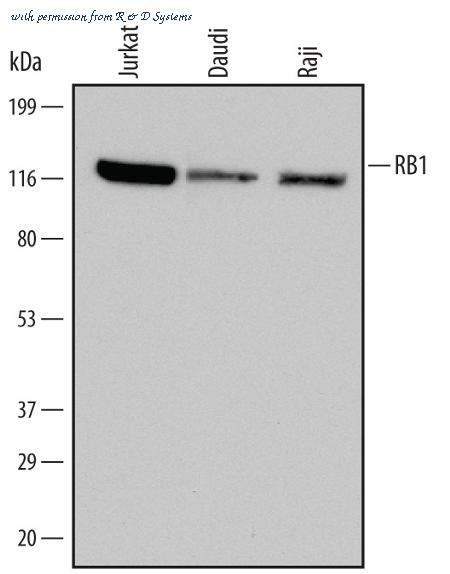 The RB1 antibody from Proteintech is a rabbit polyclonal antibody to a fusion protein of human RB1. This antibody recognizes human antigen. 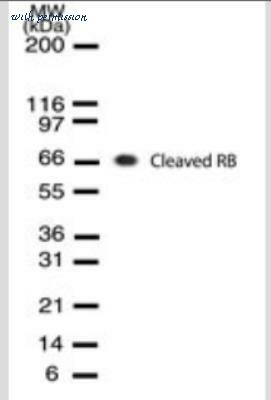 The RB1 antibody has been validated for the following applications: ELISA, WB, IF, IP analysis. 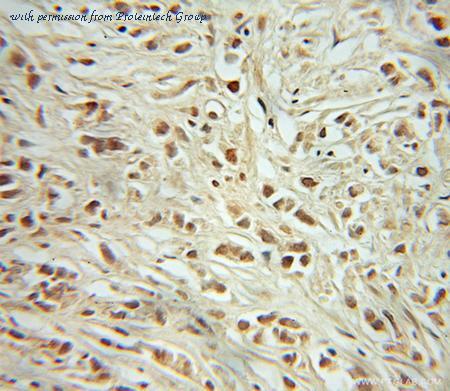 Immunohistochemistry: cleaved Retinoblastoma 1 Antibody (172C1094) [NB100-56598] - IHC of DRb-p70 in sections of primary human breast tumors. Image courtesy of Dr. Macleod, The Ben May Institute for Cancer Research, The University of Chicago. 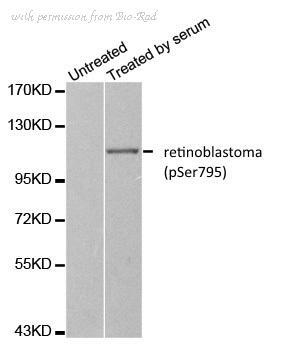 Western Blot: cleaved Retinoblastoma 1 Antibody (172C1094) [NB100-56598] - analysis: HL60 cells were treated with camptothecin for 24 hours. 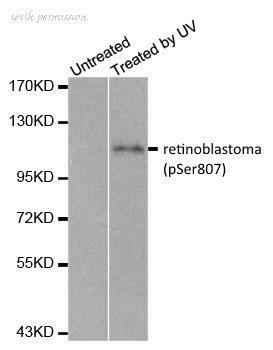 Immunohistochemistry: cleaved Retinoblastoma 1 Antibody (172C1094) - Azide Free [NBP2-33240] - analysis in sections of primary human breast tumors. Image courtesy of Dr. Macleod, The Ben May Institute for Cancer Research, The University of Chicago. 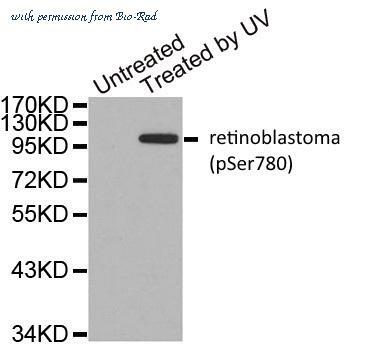 Western Blot: cleaved Retinoblastoma 1 Antibody (172C1094) - Azide Free [NBP2-33240] - Analysis in HL60 cells were treated with camptothecin for 24 hours. 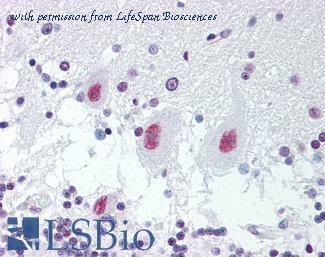 Anti-RB1 antibody IHC of human brain, cerebellum. Immunohistochemistry of formalin-fixed, paraffin-embedded tissue after heat-induced antigen retrieval. Antibody dilution 1:100. 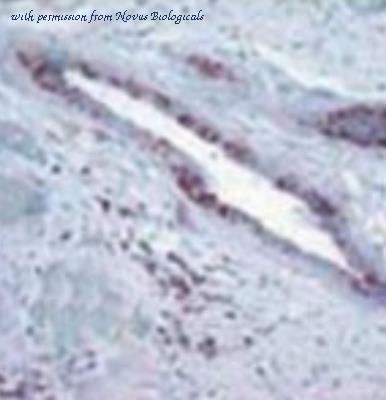 MOLT 4 extract was resolved by electrophoresis, transferred to nitrocellulose, and probed with rabbit anti-Rb antibody. Proteins were visualized using a donkey anti-rabbit secondary conjugated to HRP and a chemiluminescence detection system. 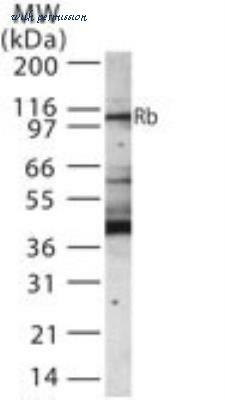 Detection of Human RB1 by Western Blot. Western blot shows lysates of Jurkat human acute T cell leukemia cell line, Daudi human Burkitt's lymphoma cell line, and Raji human Burkitt's lymphoma cell line. 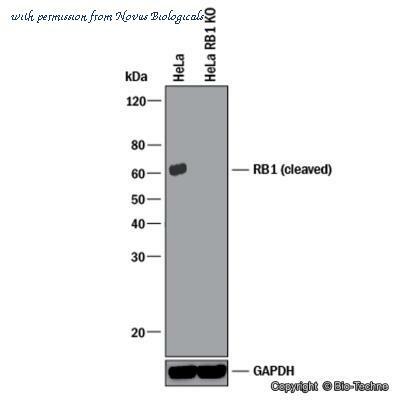 PVDF Membrane was probed with 0.1 ╡g/mL of Human RB1 Monoclonal Antibody (Catalog # MAB6495) followed by HRP-conjugated Anti-Mouse IgG Secondary Antibody (Catalog # HAF007 ). A specific band was detected for RB1 at approximately 120 kDa (as indicated). This experiment was conducted under non-reducing conditions and using Immunoblot Buffer Group 1 .